Good day all, Michael here. Welcome to my first post! The first topic I’d like to discuss everyone’s favorite: Fortnite! To start I would like to disclose that I’m not a pro at Fortnite, but I am getting better. I’ve been able to play it on both PS4 and the Switch. Based on the few games I’ve played, I would say that the Switch version is better, and I’ll explain why. On the PS4, since it’s been out for much longer and there’s a bigger group of players, the games are very competitive and they’ve had a lot more time to hone their skills. On the PS4 I’ve barely been able to make it into the top 20 at times because everyone else has been playing it for longer. On the Switch, I’ve been able to make it to top 3! Which, I like to think has to do with the more precise controls, the layout of the controller, and the fact that there aren’t as many people playing on the Switch. For new players, I personally would recommend you play it on the Switch. 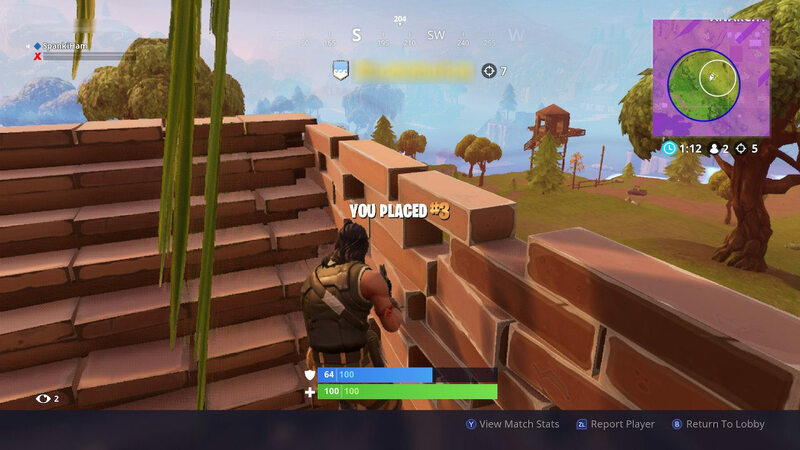 Image courtesy of Fortnite by Epic Games, People Can Fly on the Nintendo Switch. In my experience, the games on the Switch are more casual and not as competitive. If your looking for a more competitive atmosphere then PS4, PC, or even XB1 would be recommended. Disclaimer: We may receive compensation for Amazon affiliate links in this section. Let me know what you think! What system do you prefer to play Fortnite on? Leave a comment below! I know what you mean, If I’m in a really competitive game I get the shakes too sometimes. It’s terrible! I have yet to win a game because I just get so nervous at the end when there are so few people left. With practice though I believe we can get a Victory Royale!